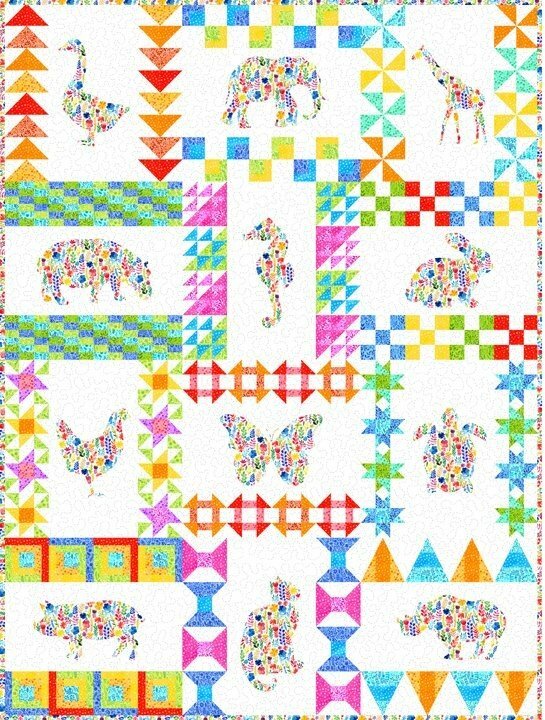 A' truly fun quilt! This whimsical design comes from In the Beginning Fabrics. Each 24" block features a delightful applique animal silhouette framed with a sampler block. The crisp, bright colors ensure that this quilt is perfect for any little (or big!) boy or girl. Finished quilt size 72 1/2" x 96 1/2". Includes fabrics for quilt top and binding.